I am writing to you with a petition signed by 552 local residents (to be presented at the council meeting) to object to these buildings on the grounds that they are far too tall and totally out of scale with their surroundings. I have spoken to hundreds of people or sought their views in different ways and the vast majority are of the same view as me that we would prefer to keep Clapham Junction on a human scale. The Falcon, as a listed building, cannot be pulled down but it can be made to look ridiculous by these huge towers just behind it, as this picture clearly shows. Tall buildings can work when they are next to other tall buildings, as in Canary Wharf, or even Vauxhall, but not in a shopping centre that was built in the late Victorian era and is mainly 4-7 storeys. I know Wandsworth’s planning policies have long identified the town centres as possible locations for taller buildings, but that does not override the need to make sure buildings fit in with their surroundings. No one, looking at this picture, could pretend that they do. As you can see from the petitions, the majority also ticked the box (where available) to support at least 50% affordable housing in any new development. The great majority of people in Battersea face the problem that their sons and daughters cannot afford to rent or buy in the area and are forced to move far away, breaking up families and depriving elderly residents of the care and contact they would normally expect from their children and grandchildren. That is why the Government set a requirement of 50% affordable housing on all new developments and I don’t regard this as an obligation that can be traded for station improvements, even when, as in this case, the station is in bad need of improvement. Network Rail currently has £22 million in its five-year capital budget for 2009-14 allocated to Clapham Junction, mainly for platform lengthening and straightening (£20 million) with the remaining £2 million for what they call ‘cosmetic’ improvements. The Government’s Access for All scheme is also spending £9 million on installing lifts and re-opening the Brighton Yard entrance. The station certainly needs a lot more spent on it and is unlikely to receive any before 2014. The Metronet development earmarks some £49 million for station improvements and the bulk of this would be spent on building escalators and lifts to the overbridge. This is certainly a benefit to Network Rail and TfL because it reduces the problem of overcrowding in the tunnel and spreads passengers more evenly along the platform. Benefits to local people will be modest. Many will find they have to walk further to the trains. The development also involves a land-swap which will enable Network Rail to straighten platforms 15-17. As you may know, there are many local people who will not use platforms 15-17 because of the gap and there was a fatality on platform 15 some years ago. There will undoubtedly be a significant benefit to local people, but this has to be balanced against the impact of the towers. The economic benefits of the development are more difficult to measure. 250 jobs would be lost at the PCS union and 150 jobs at Moss Bros. There would be a new shopping mall replacing the existing Station Approach. This sounds like a net loss of employment. It would be a different matter if the tall buildings were offices. I appreciate that the Planning Applications Committee has a difficult job in balancing many different benefits and disbenefits in the schemes that come before it, but in this case I think the job is simple. 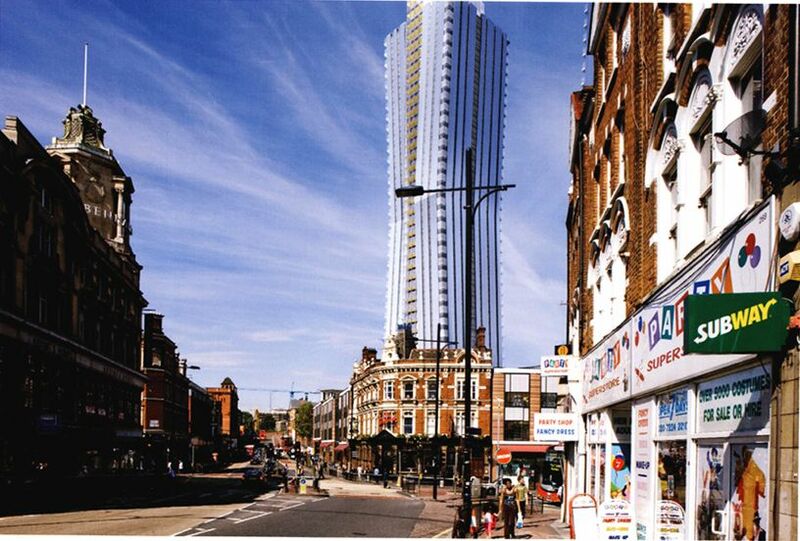 The overwhelming majority of local people do not want two 42-storey towers. They are in favour of station improvements, whoever pays for them, and are not against a new shopping mall to replace the station approach, but even taking account of the station improvements, they are overwhelmingly against this application. I think they are right and I hope the committee will respect the wishes of the great majority of people living in the area. Objection well put and appropriate. Totally agree. Thank you Martin, for your support with this campaign.